Drought is stressful and causes severe losses to the grazing cattle, forage crops, and cattle manager. Its consequences include reduced immunity in animals, increased frequency of falling to diseases, lowered milk production, reproductive compromise, and overall poor health. Hence, proactive management decisions and mitigation strategies must be made to minimize prevailing drought stress and potential for long-term problems. Read on to find out the tactics you can follow at your dairy farm to curb with drought situations. Avoid over-crowding of animals and ensure there’s enough space for air to pass across. Feed animals frequently, mainly the dry matter during early morning and late evening. Grazing during the early morning hours when the atmosphere is comparatively cooler helps animals avoid prolonged exposure to sunlight. Keeping the animals under natural cover with trees guards animals against direct sunlight and allow passage of fresh air, resulting in less distress due to heat. Keep animals in an open and partly sheltered barn, and allowing them to move freely. Sprinkle water or bath animals particularly during the afternoons to help them maintain stable body temperature. There’s substantial scarcity of green fodder during the drought, and it’s unavailability in the feed causes vitamin deficiency in animals. Hence, it becomes necessary to feed supplements like grains or oil seed cakes to animals, preferably twice a week. Improved concentrate feeds along with urea-treated straw could be supplied to the animals. Mix 1 quintal straw with 20-liter water, 10kg molasses, 14 kg urea, 500 gm mineral mixture, 1kg salt, and 50gm Brivita, and feed this supplement mixture to animals. Soybean chaff or corn (maize) stover in 30% proportion could be given to the animals. Alternatively, tree leaves that of mango could be mixed with 5% oilseed cake, 25% pods, 15% molasses, 2% mineral mixture, 2% salt, and 1% urea to be fed to the animals. 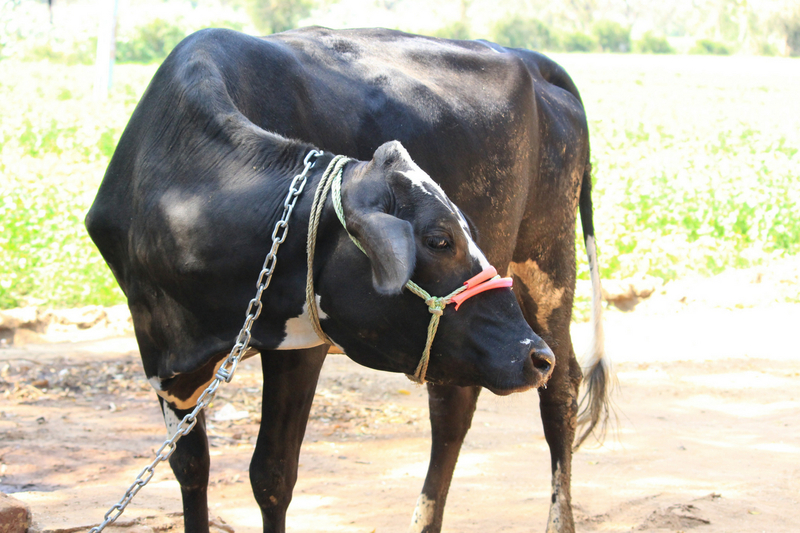 The shortage of quality fodder leads animals to graze on poisonous plants calls for unwanted and dangerous diseases. Therefore, farmers must be made aware of poisoning from various sources and ways to tackle the same. The farmers should focus on cultivating drought tolerant arid crops like legumes (Cowpea BL1 and BL2, Moth, Moong), pearl millet (MP Chari, Sorghum PC6, Bajra), and fodder grasses (athropogan, Cenchrus ciliaris, stylo). In the sugarcane-cultivated areas, the farmers can utilize sugarcane tops and leaves as feeds which are enriched with crude protein. Avoid treating animals for infertility during the drought, but the cyclic animals must be inseminated either naturally or through AI when it’s time. Animals with stable growth, milk production, and lactation should be bred correctly at the right time. Vitamin A, D, and E supplements can be given to pregnant cows during the trimester of pregnancy to prevent periparturient problems like mastitis, premature births, dystocia, retention of placenta, etc. What kind of drought management practices do you follow at your farm? Share them right below in the comments section. 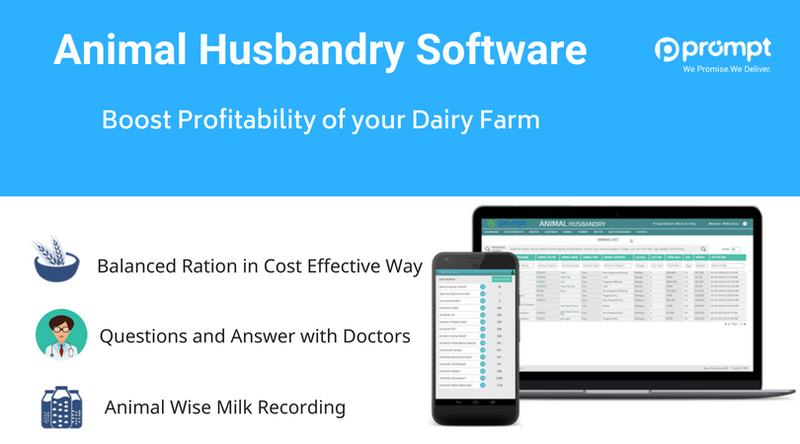 Our cattle record keeping software can help you maintain important notes about your cattle and manage them efficiently. 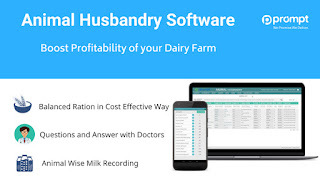 And check out our blog http://blog.promptdairytech.com/ to learn more about ways to improve dairy farming.